Whether you have a need for oilfield welding or any other kind of welding, you can expect the experts at Metal Fab Products Inc. to complete the job correctly the first time. Our metalworkers are skilled in MIG, TIG, and MIG Pulse welding. With this extensive knowledge, we are able to handle virtually any welding project. 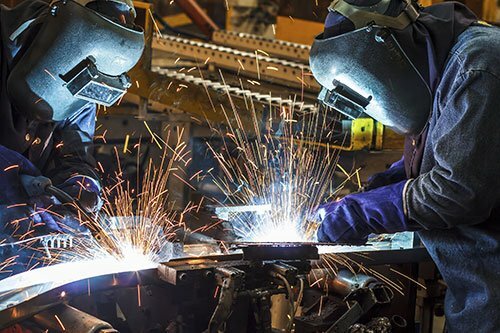 While oilfield welding is obviously in high demand in the Midland, TX and Odessa, TX areas, our welders can use their skills in a wide variety of settings and applications. For instance, we often assist restaurants, sign manufacturers, spur makers, and others with their welding needs. We are proud to serve a wide variety of industries, and we are always happy to learn something new. To learn more about our welding expertise and how we can put it to work for you, contact us to tell us more about your project. We’d be happy to discuss the specifics of your project and give you a free estimate. Learn more and get in touch with us today!